You work hard, and you want a degree that would help you advance in your career. Perhaps it has been a dream of yours and your employees, to earn a degree. The opportunity is now here. Faulkner University offers the perfect schedule so that you are able to balance your curriculum with work. 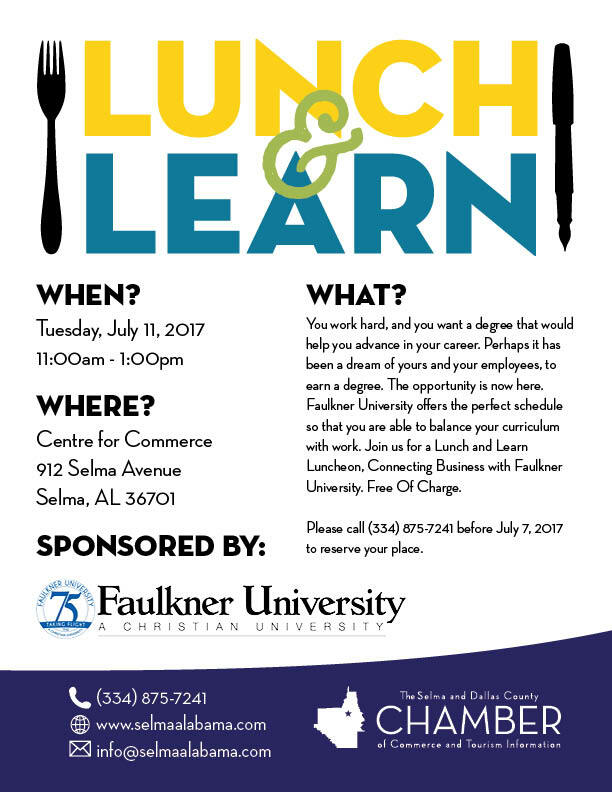 Join us for a Lunch and Learn Luncheon, Connecting business with Faulkner University. Free Of Charge. 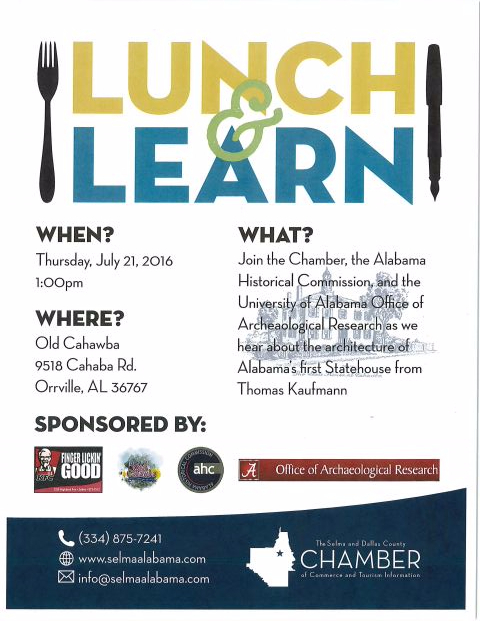 Please call (334) 875-7241 before July 7, 2017 to reserve your place. Players please check in by 10:30 a.m. 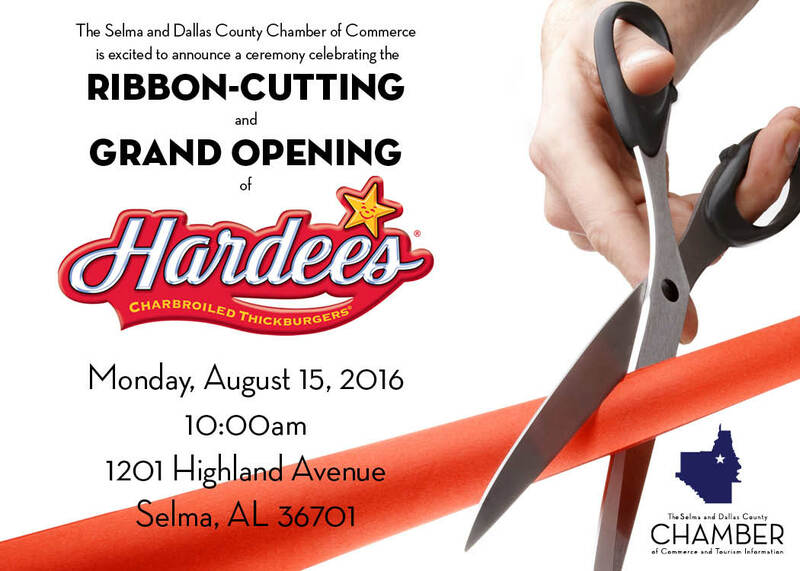 The Selma and Dallas County Chamber of Commerce is excited to announce a ceremony celebrating the Ribbon-Cutting and Grand Opening of Domino's. 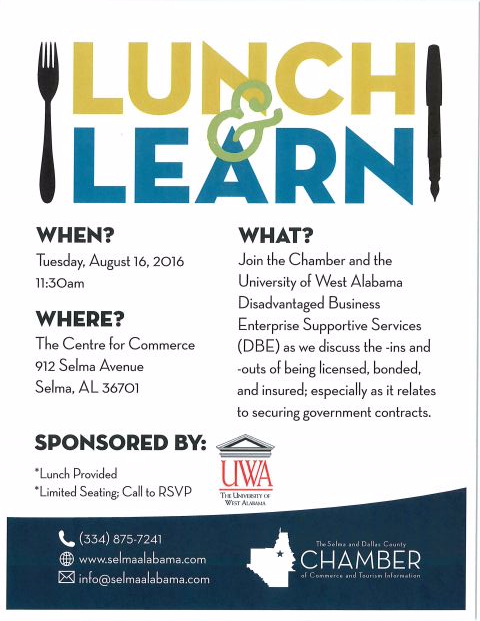 The University of West Alabama will be joining us to discuss the ins and outs of government contracts and bonding. 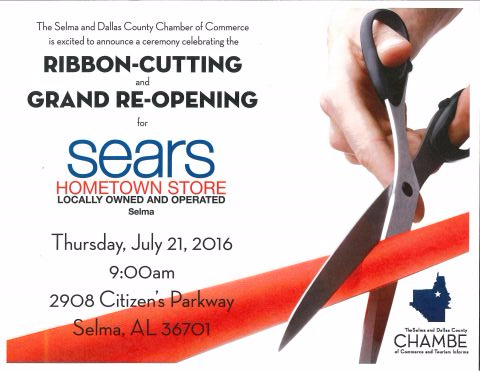 Join us as we host a Grand Opening and Ribbon Cutting for one of Selma's newest retailers! 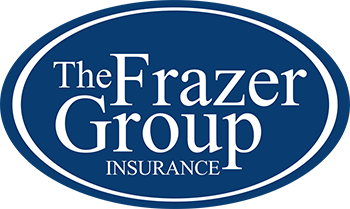 Make sure to bring your business card to be entered to win door prizes! 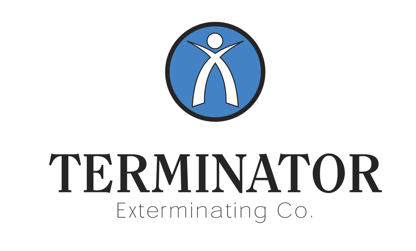 Build on the discussion around the paperless office, or begin your own anew! 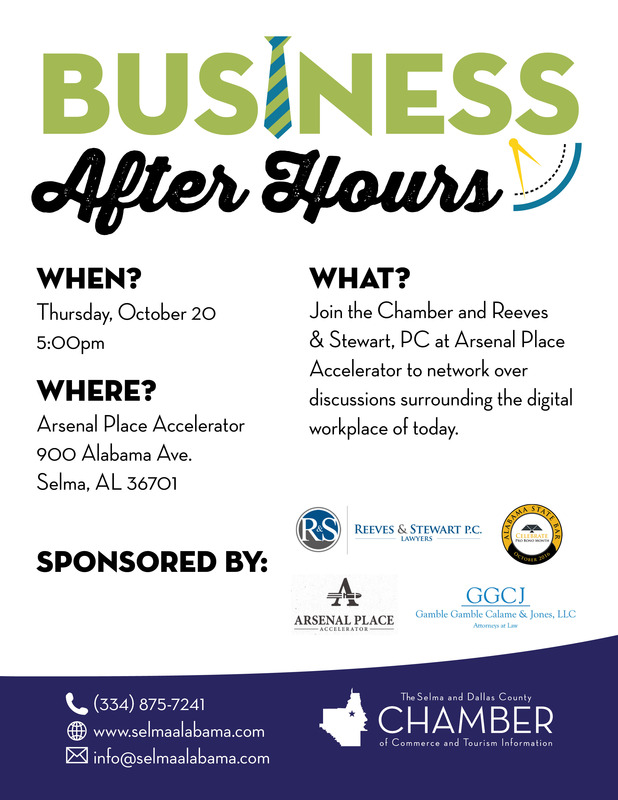 Regardless, join all of the sponsors and attendees of the Business & Technology event to network and build relationships throughout our community. has seen many changes in Selma as well as the retail industry. 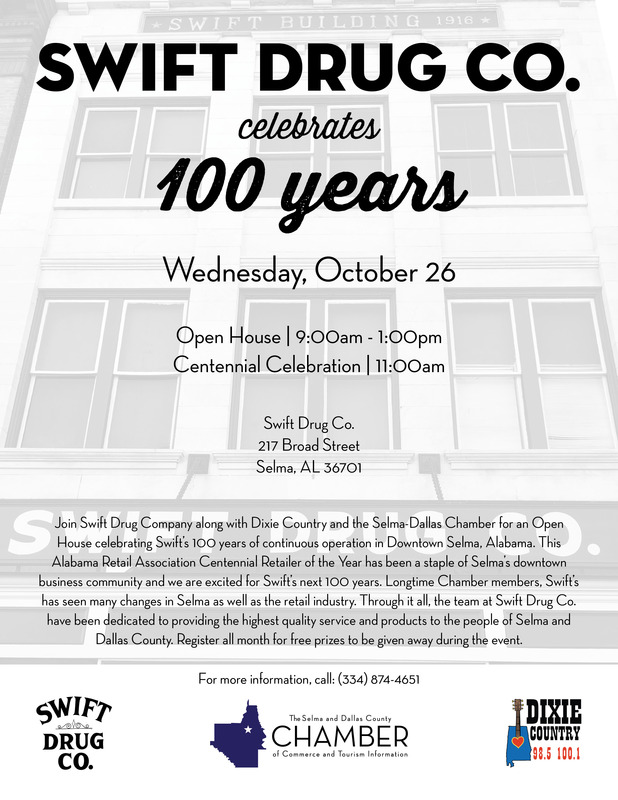 Through it all, the team at Swift Drug Co.
Dallas County. Register all month for free prizes to be given away during the event. 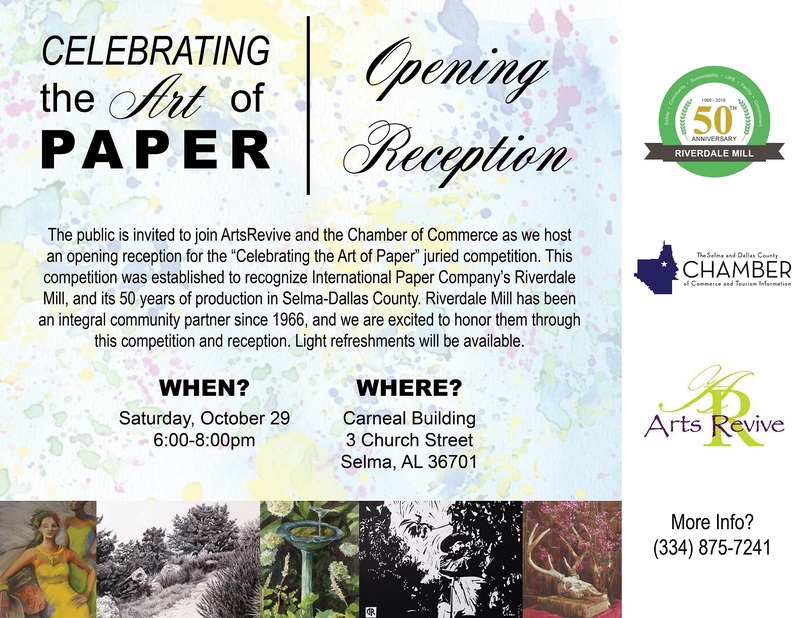 Join the Chamber along with ArtsRevive as we help the International Paper Riverdale Mill celebrate 50 years of involvement in our community. 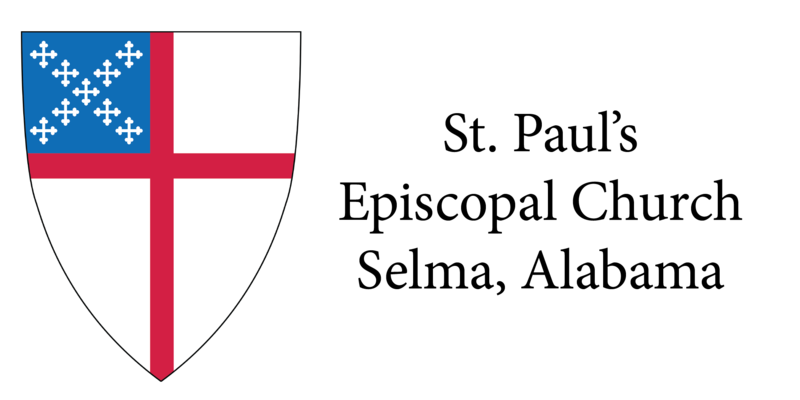 We will be hosting a reception at Carneal Auto Building Celebrating the Art of Paper. We will be enjoying a talk from Dr. Paul Patterson, Dean of the Auburn University College of Agriculture and Director of the Alabama Agricultural Experiment Station. Tickets are available for $10. 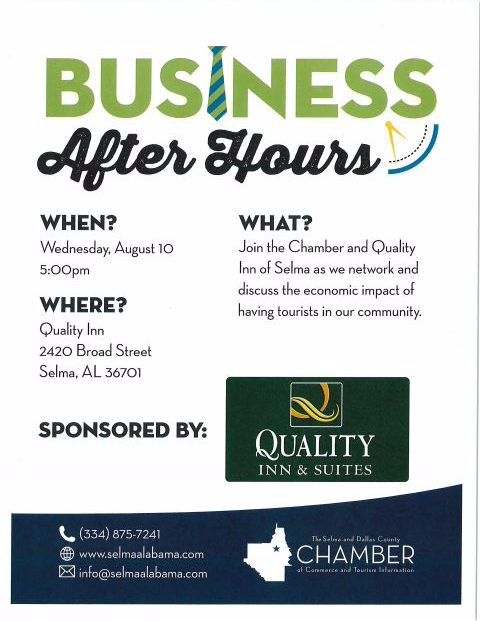 Please call or e-mail the Chamber to reserve your spot today!